Are you looking for New Punjabi Songs released in 2017 on YouTube or Google? If you are then look no further. 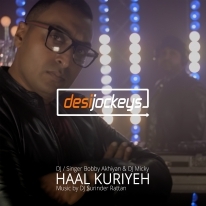 Desi Jockeys The Bollywood and Bhangra DJ’s from Manchester UK have just released their debut single “Haal Kuriyeh” by the companies very own Bobby Akhiyan the DJ and Singer and DJ Micky featuring music by DJ Surinder Rattan. This music track is no doubt going to be a club banger and another Bobby Akhiyan anthem. Desi Jockeys The Asian DJ’s plan to release a selection of New Punjabi Songs from late 2017 into 2018. 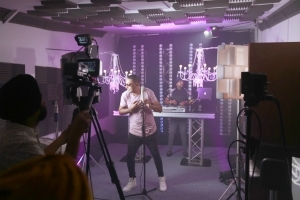 This project has a mix of dance floor Bhangra Songs which are most likely to be played at Indian and Pakistani Weddings and at events like Birthdays, Mehndi’s and Sangeet Parties. As well as the Upbeat Music, a selection of Romantic Punjabi Songs is also in the pipeline for those who like Easy Listening Music. Each music release in this project will be supported by a music video and will be available on the Desi Jockeys YouTube channel www.youtube.com/desijockeys. All music will be available to download and stream worldwide on major digital distribution platforms including iTunes, Apple Music, Google Store, Amazon, Spotify, Saavn (India) and Hungama (India) and more.